Thessaloniki (Greek: Θεσσαλονίκη [θesaloˈnici] ( listen)), also known in English as Thessalonica or Salonica, is the second-largest city in Greece and the capital of Greek Macedonia, the administrative region of Central Macedonia and the Decentralized Administration of Macedonia and Thrace. Its honorific title is Συμπρωτεύουσα (Symprotévousa), literally "co-capital", and stands as a reference to its historical status as the Συμβασιλεύουσα (Symvasilévousa) or "co-reigning" city of the Eastern Roman (Byzantine) Empire, alongside Constantinople. According to the Greek census 2011, the municipality of Thessaloniki today has a population of 325,182, while the Thessaloniki Urban Area (the contiguous built up area forming the "City of Thessaloniki") has a population of 788,952. Furthermore, the Thessaloniki Metropolitan Area extends over an area of 1,455.62 km2 (562.02 sq mi) and its population in 2011 reached a total of 1,104,460 inhabitants. Thessaloniki is Greece's second major economic, industrial, commercial and political centre, and a major transportation hub for the rest of southeastern Europe; its commercial port is also of great importance for Greece and the southeastern European hinterland. The city is renowned for its festivals, events and vibrant cultural life in general, and is considered to be Greece's cultural capital. Events such as the Thessaloniki International Trade Fair and the Thessaloniki International Film Festival are held annually, while the city also hosts the largest bi-annual meeting of the Greek diaspora. Thessaloniki is the 2014 European Youth Capital. 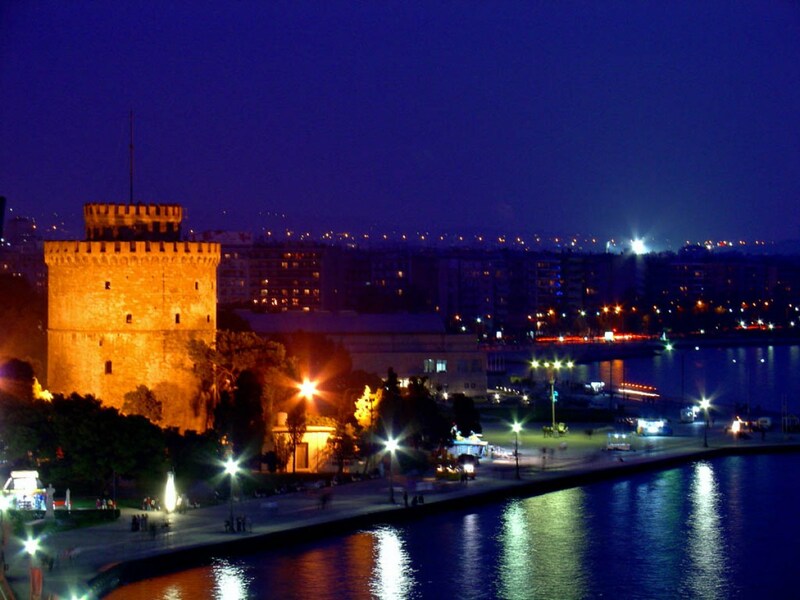 Founded in 315 BC by Cassander of Macedon, Thessaloniki's history spans some 2,300 years. An important metropolis by the Roman period, Thessaloniki was the second largest and wealthiest city of the Byzantine Empire. Thessaloniki is home to numerous notable Byzantine monuments, including the Paleochristian and Byzantine monuments of Thessaloniki, a UNESCO World Heritage Site, as well as several Roman, Ottoman and Sephardic Jewish structures. The city's main university, Aristotle University, is the largest in Greece and the Balkans. Thessaloniki is a popular tourist destination in Greece. For 2013, National Geographic Magazine included Thessaloniki in its top tourist destinations worldwide, while in 2014 Financial Times FDI magazine (Foreign Direct Investments) declared Thessaloniki as the best mid-sized European city of the future for human capital and lifestyle.